Calling users for feature requests. Got a feature you would like daisy to have? Send me an email and I will do my best to make it happen. I want to steadily make Daisy a better product for my users. Thanks! Fixed minor bugs, jquery incompatibilities, updated file structure. Simply install the plugin and prepare to impress your visitors with a beautiful popup modal, that nicely renders your contact form. There is no coding knowledge required yet your website looks professional and has an aesthetic edge over your competitors! 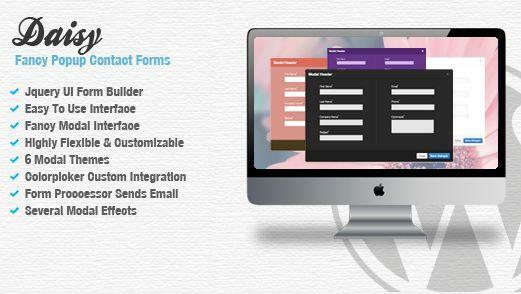 Share the post "Daisy – Fancy Popup Contact Forms"